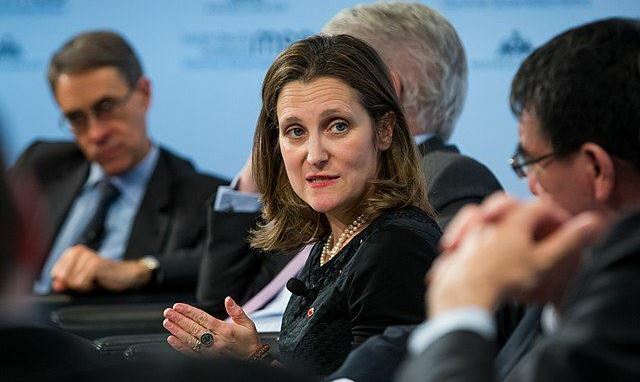 During the last days in office of Canada’s Ambassador to Venezuela Rowswell, US President Donald Trump went public with his overt threat to invade Venezuela. On 11 August 2017, McClatchy’s Miami Herald bannered “Trump was making friends in Latin America — before he raised Venezuela ‘military option’”, and Patricia Mazzei reported that “President Donald Trump’s unexpected suggestion Friday that he might rely on military force to deal with Venezuela’s pressing political crisis was an astonishing statement that strained not only credulity but also the White House’s hard-won new friendships in Latin America.” Even a spokesperson from the Atlantic Council (which is the main PR agency for NATO) was quoted as saying that “US diplomats, after weeks of carefully building the groundwork for a collective international response, suddenly find their efforts completely undercut by a ridiculously over the top and anachronistic assertion. It makes us look imperialistic and old-time. This is not how the US has behaved in decades!” However, Peru’s Foreign Minister, Ricardo Luna, was just as eager for a coup in Venezuela as were Trump and Freeland.